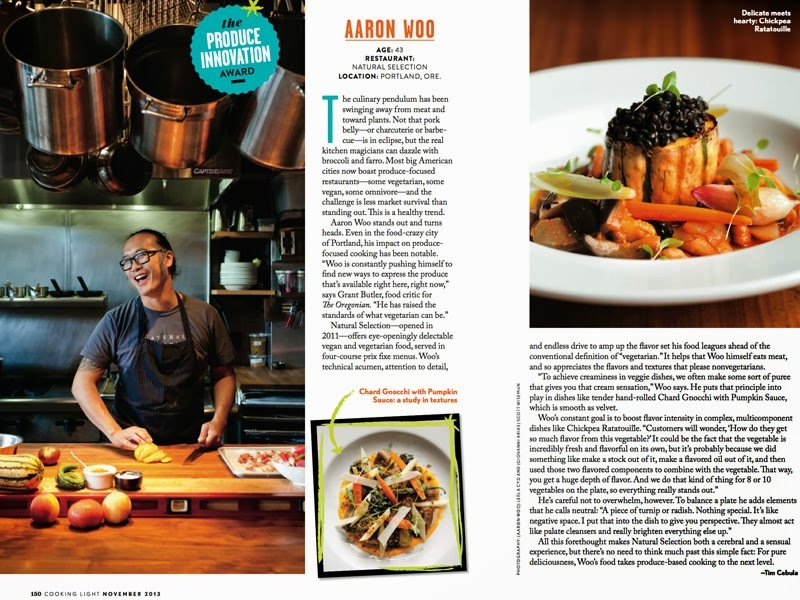 Good news for a Monday - a shoot I did up in Portland, of Chef Aaron Woo, just came out in the November issue of Cooking Light. Aaron was a very charismatic guy, easy to talk to, passionate about vegetables and fishing with his daughter. 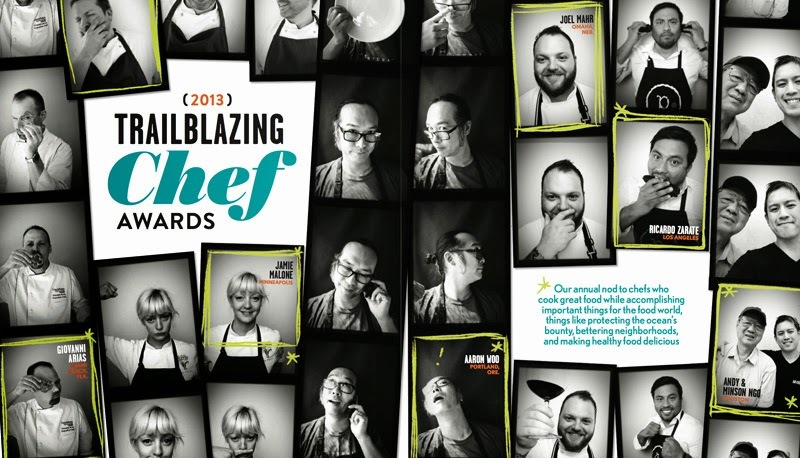 I loved spending time in his open kitchen at Natural Selection and the piece looks great!